As we age, skin laxity becomes a greater concern, detracting from the youthful appearance of our complexion. As fine lines, wrinkles, and sagging become visible in the skin, it is natural to look at treatments for tightening the skin, including costly surgical interventions. 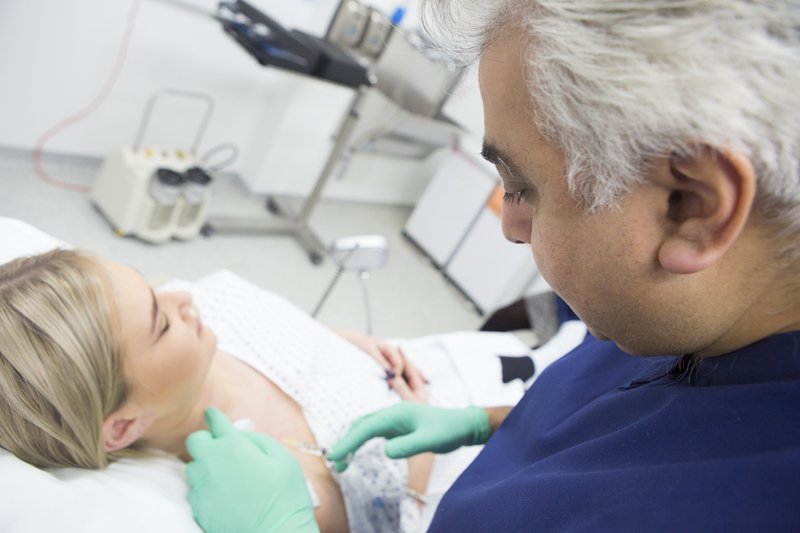 At Dr Firas Al-Niaimi’s Harley Street clinic, we offer a non-invasive laser solution- High Intensity Focused Ultrasound (HIFU). HIFU is a method of skin tightening that helps produce firmer, smoother skin without the need for painful, downtime-heavy surgeries such as facelifts. HIFU acts a stimulant for the production of collagen, a protein made by the skin that keeps it firm, taut, and healthy. During the HIFU procedure, ultrasound energy is administered to the treatment area, offering a lifting and tightening effect on the skin. It can be used on the brow area, upper chest, neckline, or an all-over rejuvenation. 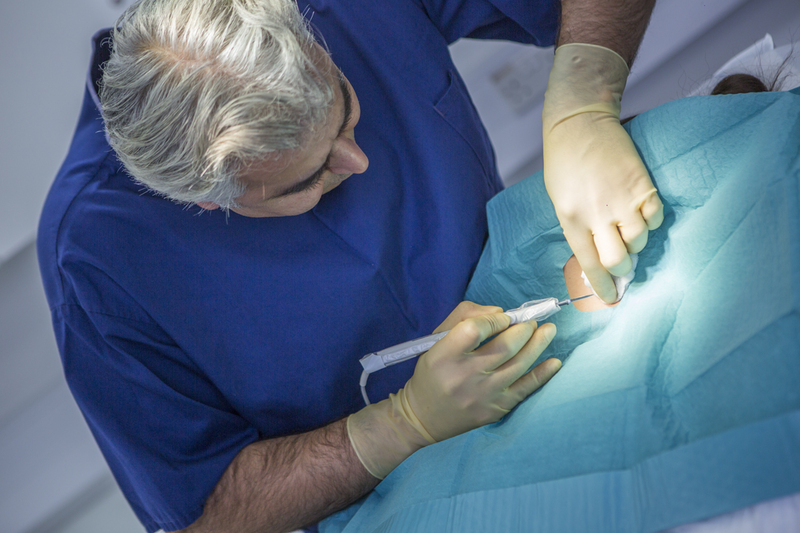 As a non-invasive procedure, HIFU is free of many of the risks and downsides attached to surgical alternatives, including lengthy periods of downtime. HIFU targets the layers of the skin below the surface, heating up the area to achieve astounding results. As specific tissue is targeted below the external layers of skin, this does not damage the outer layers or external tissue. 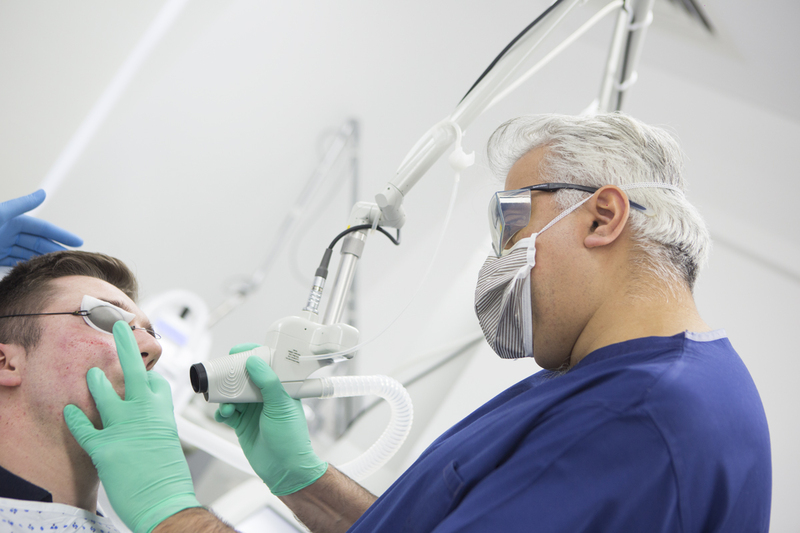 Prior to any treatment, patients are required to attend a thorough consultation with Dr Firas Al-Niaimi. This allows Dr Al-Niami to fully assess the condition of the skin and formulate a treatment plan that will help achieve optimal results for you. To arrange your consultation, please get in touch. Am I a candidate for HIFU? HIFU is recommended for patients with mild skin laxity, or those just beginning to notice the onset of ageing. Those with skin that has been highly damaged by the sun or with extensive laxity may be better suited for alternative treatments. Those with infections or lesions in the treatment area, severe cystic acne and metallic implants should also avoid treatment. What can be treated with HIFU? HIFU can be used to address a range of skin concerns, including wrinkle reduction, sagging necks, lifting skin in the eye area, adding definition to the jawline, rejuvenation the décolletage, and overall skin smoothing. Some patients may experience slight discomfort or sensitivity during treatment, which can be combated with over-the-counter anti-inflammatory pain medication such as ibuprofen. Post-treatment, swelling or mild redness may be evident, though this should not last more than a few hours. Patients can return to their usual routine immediately post-treatment. After treatment, patients should take care not to expose the skin to extreme temperatures and use a protective SPF to protect their skin and ensure best results. Results will be evident three months post-treatment as the collagen reserves within the skin are replenished. HIFU is not permanent, and for maintaining the best results, patients should opt for one treatment per year.